2019-01-22 My lunchbox loves fruits and vegetables but does your child? 2017-12-06 It's Wintertime! Spread Fun, Not Flu. 2017-12-03 My lunch box loves fruits and vegetables but does your child? 2017-10-18 Wash your hands. Be a germ fighter! 2017-10-18 Outdoor play is coming soon. Let’s get sun smart! 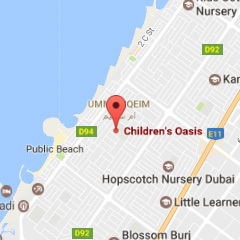 2017-08-22 What’s cooking at Children’s Oasis Nursery?